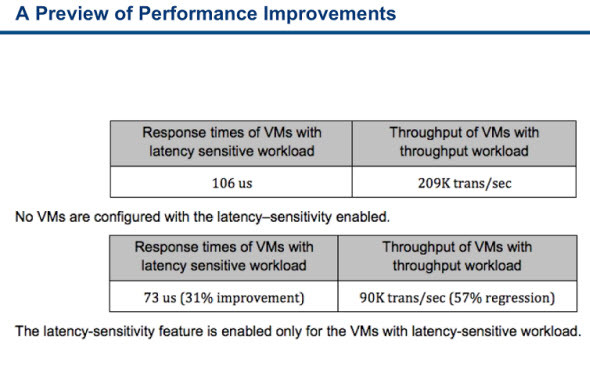 vSphere 5.5 introduces new features for Low latency applications which can be like databases, high performance computing (HPC) or stock trading systems. Those applications and latency sensitive workloads, where the network packets cannot have delay. Usually a in-memory database applications or trading applications. Its basically gives access virtual hardware directly to the physical hardware. It means that the vCPU can access directly the physical CPU for zero read time readiness. Where do you configure the settings? Latency sensitivity – After selecting the option, the CPU scheduler determines whether exclusive access to the the physical CPU can be given (or not) depending if the physical cpus are oversubscribed. The VMs memory has to be reserved to be sure that the memory requested is always available. So the memory reservation and also the cpu ownership. Virtualization Layer By-Pass – the virtual CPU bypass the kernel, the scheduling layer and directly calling the VMM. Much faster virtual CPU hold and wake up operations. 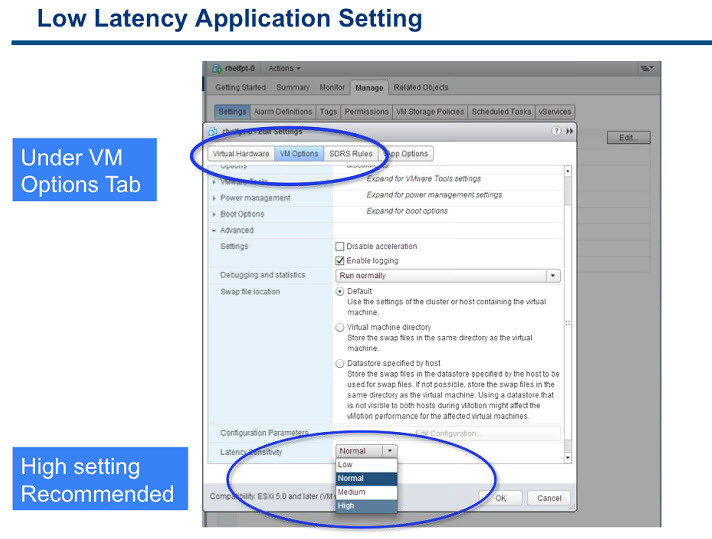 Tuning Virtualization Layers – disabling coalescing and LRO support for vNIC's to have response times predictable. VMware vSphere Replication 5.5 – what's new? 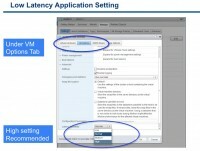 VMware VSAN introduced in vSphere 5.5 – How it works and what's the requirements?